LARENS is an exclusive brand of collagen cosmetics created by an international group of experts, in close cooperation with the distinguished Polish doctor and scientist Andrzej Frydrychowski, Ph.D., M.D. The method he developed for extracting natural collagen has been used in the production of a new generation of cosmeceutical which contain natural collagen. This is how LARENS products are created and characterized, by their exceptional quality and effectiveness. 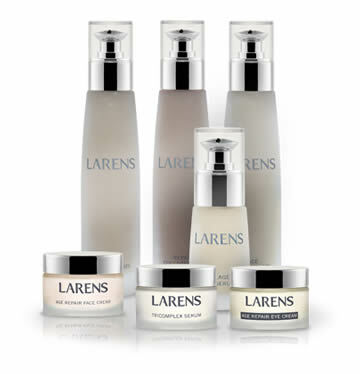 LARENS – the combination of nature’s beauty and science.